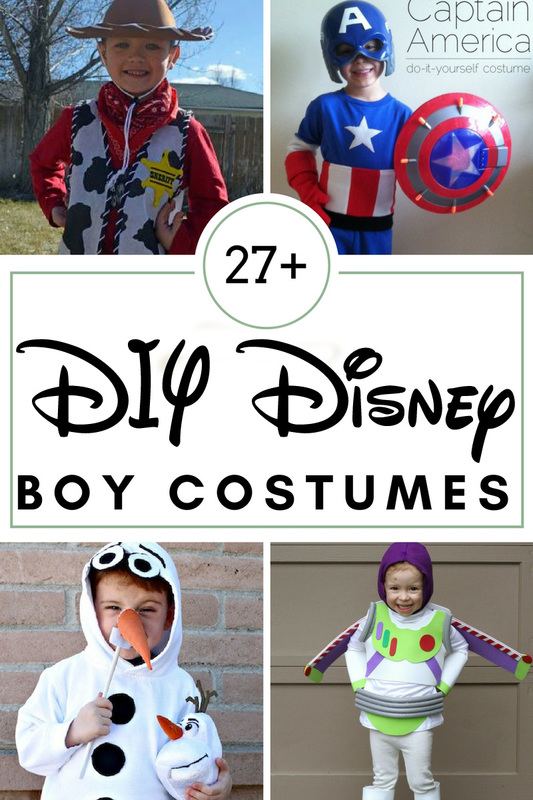 A collection of easy DIY costumes perfect for your little Disney fan! These are the perfect Disney boy costumes that won’t break the bank or eat up all your time. Whether you are on the hunt for the perfect Halloween costume for your kiddo or your kids just like to play dress-up, here are some of my favorite DIY Disney costumes from around the web! In my opinion, these are all doable and affordable, the perfect combination! Sometimes, it can be expensive to buy dress-up costumes for your kids which is why I created some of my own too. They also are great costumes to wear if you’re headed to Disneyland for Halloween! It’s my favorite time of year to go and we are headed there this year for Mickey’s Halloween party. I booked my trip with my favorite Disney experts, Get Away Today, because they have an awesome layaway plan ($125 down to book your trip)! Find out more about booking by clicking below or check out my post about saving for Disneyland. I hope you find something fun to use for your family! 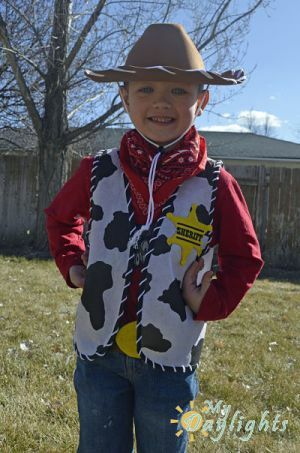 Use products from the dollar store to make your own Woody Costume for under $10! I love the faux fur! My little boy would play with this for ages. This is seriously too adorable! “Tangled” is one of my favs. I love this one! This one is so creative and fun! Who doesn’t love Olaf? This is so cute! The Incredibles are some of the funnest super heroes. I love how they made those legs! I love that you can make gloves for Iron Man without breaking the bank. My kids love Ant Man. This one would be fun! All of these costumes are fun for Halloween but make great additions to your dress-up collection. I never realized how much boys like dressing up until I had my own! I always thought it was just girls but my boys spend half their life in some sort of costume with their swords and weapons in hand. My favorite place to find things for costumes is Dollar Tree and the dollar spot at Target and Michaels. 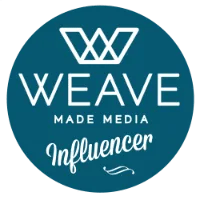 They have some real gems and if you’re creative enough, you can find a use for just about anything you find there! If you find a great tutorial, share it and I will add it to the list!